We are knee deep in a blizzard today so what better time to do some online shopping right? TeachersPayTeachers are once again offering a fantastic deal all day! Buy anything at TPT and get 10% off with the promo code CYBER. Now if that wasn't sweet enough many TPT sellers are also having a sale, including myself. EVERYTHING in my store is 28% off (if you add the promo code CYBER). So what are you waiting for get shopping, this deal only lasts until tomorrow! Here are some of my units that are on sale. Click on any of the images to get taken over to my store. The link will take you to the blog post. This is my latest unit! 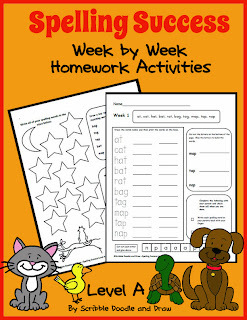 Spelling Success Week by Week Homework Activities. It has an entire year full of spelling activities and ways for kids to practice their spelling words. Christmas is coming do you need center ideas? 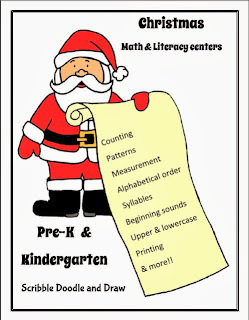 My Christmas unit is full of fun ideas for pre-K and kindergarten! My best seller: Learn to write your name Activity Booklet. Check out my post here . Valentine's day is right around the corner, no time like the present to get started with your planning! Check out my post here. 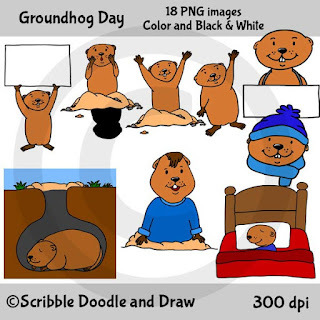 Don't forget my clip art is also on sale! 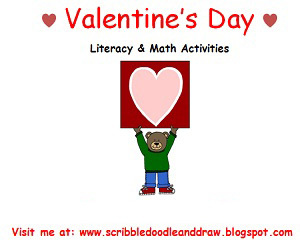 Click here to see all my clip art in my TPT store.